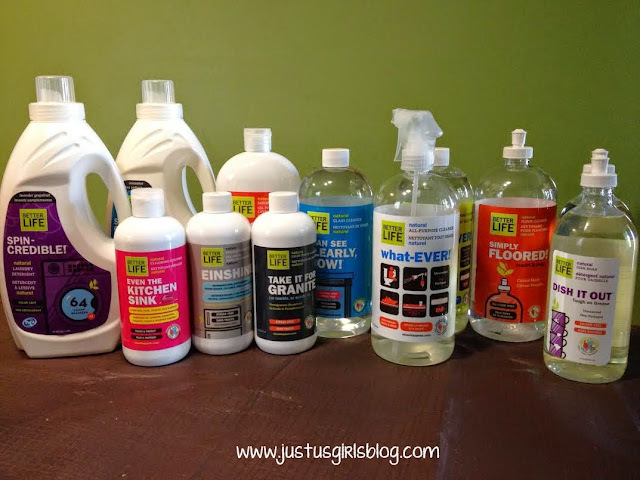 I love finding products that are not only affordable, but that are also all natural now that my kids have chores that require them to use cleaning supplies. Their products are naturally free of fragrances, sulfates, and petroleum-based ingredients and none of their products are tested on animals, which makes them certified, cruelty free. Their products are not only safe for the planet, but also safe for people, pets, and all surfaces of the home. I love that I can let my two older kids use these products while doing their chores. I have to say my all time favorite out of all of these products has to be the Simply Floored all natural floor cleaner. I say that because this ready to go bottle makes it easier for us busy moms that are always on the go while trying to keep the house clean. I love that all I have to do is pop open the top, squirt on the stain that's on the floor and mop it up. This works perfect, especially if you're expecting guests and don't have time to mop the entire floor. We've all been there where we just spot mop, lol. This will work great over the holidays when there are people coming in and out of your house for holiday gatherings. I also loved using the Spin-Credible Natural Laundry Detergent. I love that I can use this detergent for our 3 month old too and she hasn't had a bad reaction to it. Which means, one detergent for the whole family instead of buying a separate one for her. I'm happy to share that as of September, us folks that live out here in Canada can now purchase all of the Better Life cleaning supplies listed above at our local Target Canada store. Disclosure: All opinions are my own. I received Better Life products at no cost for the purpose of this review. No other compensation was received.